Raina and I came across some lethal local wildlife on our walk home from work last week. The unfortunate snake is a Russell’s Viper (Daboia russelii) or polonga in Sinhalese. Farmers clearing grass on the road beside a large paddy area had just come across it and killed it. We passed by a few moments later. When I shared these photos with colleagues at school they caused much interest and a good deal of anxiety about our local biodiversity. One of our friends lives meters away from where the snake was killed and was not amused. Russell’s vipers are important predators of rats and other rodents and are frequently found near human habitation in South and South East Asia. 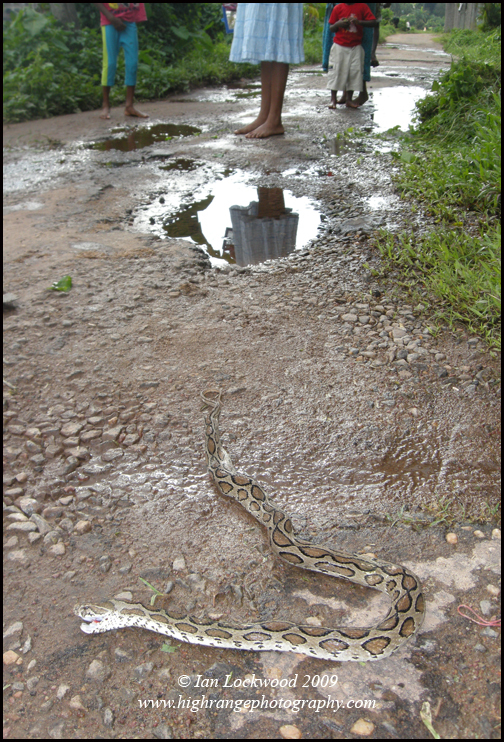 They have lethal venom and are one of the “Big Four” snakes most responsible for human mortality in South Asia. 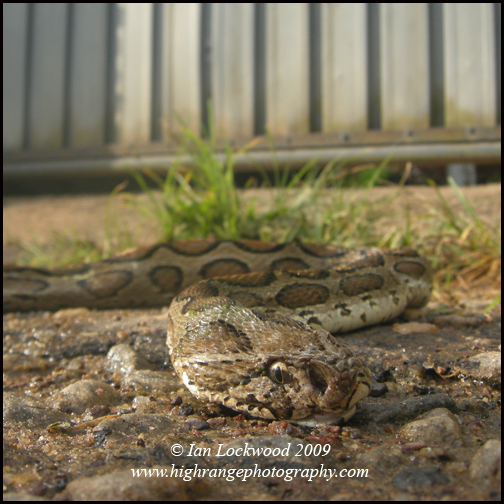 They don’t seek trouble but people may inadvertently step on them (mainly at night) and thus they are thought to be responsible for more deaths than any other snake species on the island! Further references can be found in Snakes and Other Reptiles of Sri Lanka by Indraneil Das and Anslem De Silva as well as the herp bible for South Asia: Snakes of India: The Field Guide by Romulus Whitaker and Ashok Captain.